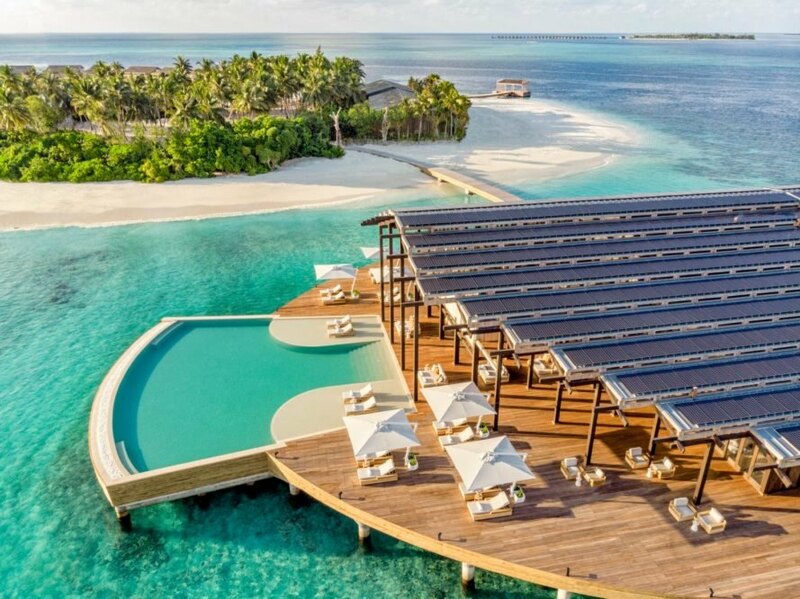 Basking in the beauty of the Maldives is a luxury that can now be enjoyed in an all-inclusive eco resort powered entirely by solar energy. 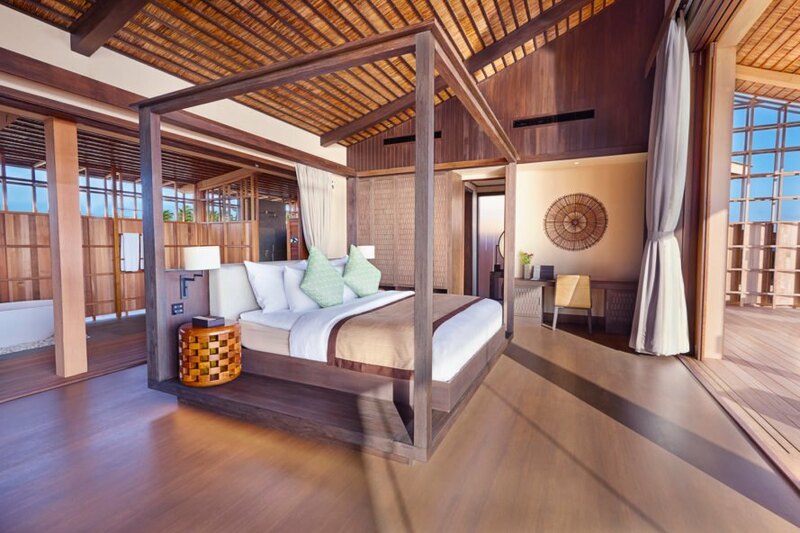 Opened at the end of 2018, the Kudadoo Maldives Private Resort was designed by New York-based architectural firm Yuji Yamasaki Architecture (YAA) to create a luxury experience guided by eco-conscious principles. 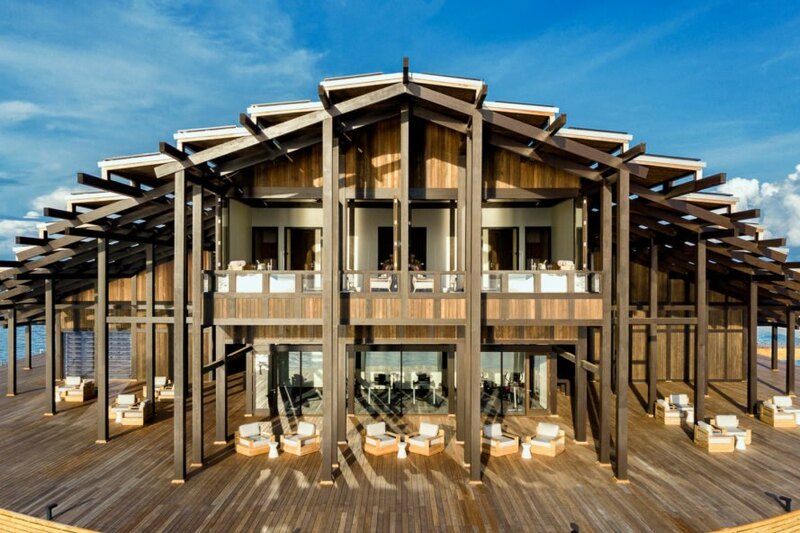 The crowning jewel of the resort is The Retreat, a two-story dining and leisure hub topped with a folded roof clad in solar photovoltaic panels. Set on a private island on an aquamarine lagoon, the Kudadoo Maldives Private Resort offers 15 spacious residences ranging from one to two bedrooms. 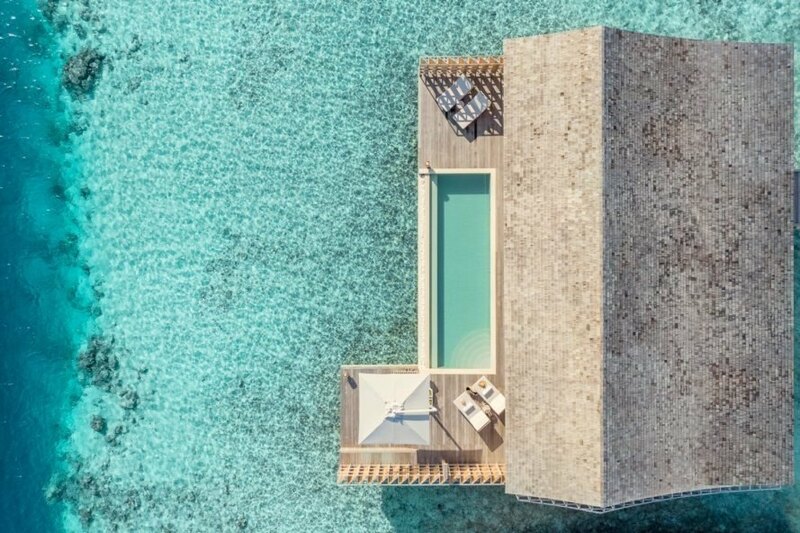 Each residence is over 300 square meters in size and opens up to a 44-square-meter infinity plunge pool and unobstructed ocean views. Guests also enjoy access to a private butler, tasteful handmade furnishings and modern fixtures including a television and surround sound system. Sustainability drove the architects’ design decisions, which minimized environmental impact wherever possible. The resort is mainly built of eco-conscious materials, such as timber from sustainably certified forests in Canada, New Zealand and Indonesia. Energy usage is reduced thanks to energy-efficient cooling systems, fully automated lights and passive design features that promote cross ventilation. Sigh. I'm a bit over seeing 'eco resorts' for the ultra wealthy. With growing world wide inequality, it rather rubs the noses of the not so ultra wealthy in the extravagant luxury enjoyed by these people. Maybe when we assess the sustainable credentials of such resorts we should include the eco footprint that people who can afford to stay in these places leave behind them in their gaining that wealth. 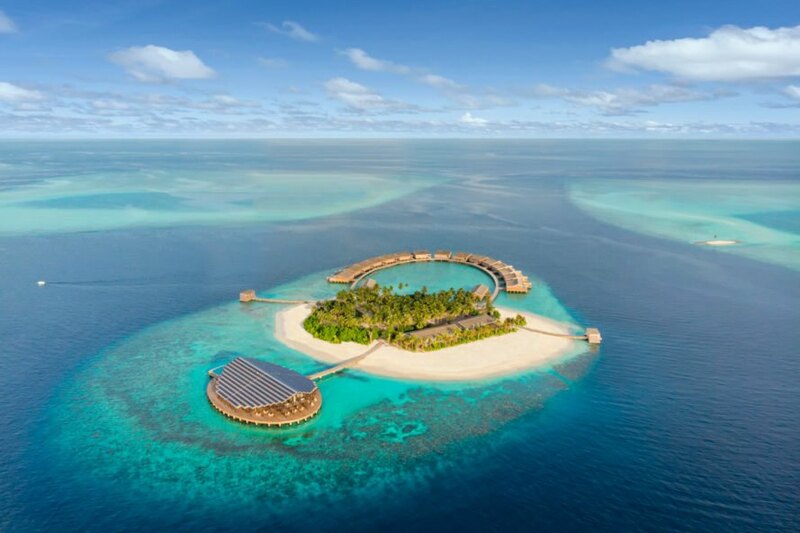 Yuji Yamasaki Architecture designed this stunning eco resort in the Maldives. 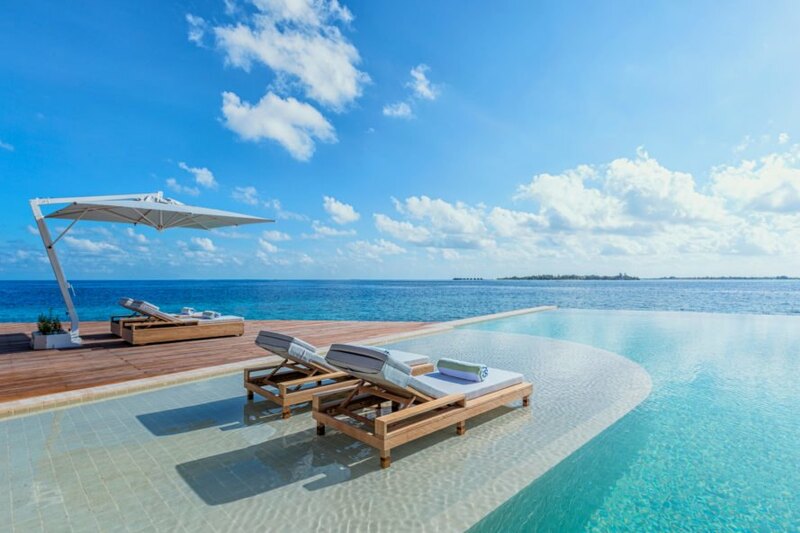 The Kudadoo Maldives Private Resort features multiple gorgeous buildings. The resort is all-inclusive and eco-friendly. A massive array of solar panels powers the entire resort. The eco resort offers 15 residences with one to two bedrooms each. Each retreat is designed for the ultimate relaxing experience. 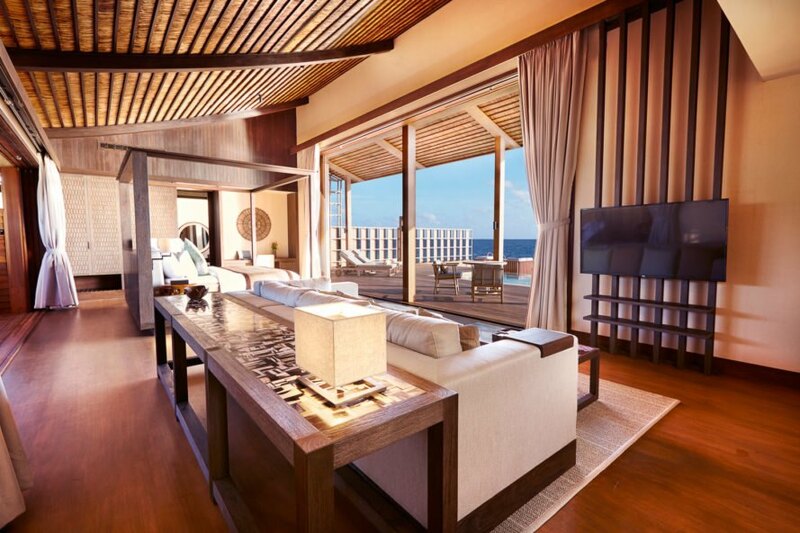 The residences open to a large infinity pool and ocean views. The picturesque views cannot be beat. In addition to solar panels, energy-efficient cooling systems and passive design further reduce the resort's carbon footprint. The Kudadoo Maldives Private Resort is set on a private island in an aquamarine lagoon.